^ 1.00 1.01 1.02 1.03 1.04 1.05 1.06 1.07 1.08 1.09 1.10 1.11 1.12 1.13 1.14 1.15 1.16 1.17 1.18 1.19 1.20 1.21 1.22 1.23 1.24 1.25 1.26 1.27 1.28 Singh, Amandeep. Pediatric Emergency Medicine Practice Acute Gastroenteritis — An Update. Emergency Medicine Practice. July 2010, 7 (7). ^ 2.00 2.01 2.02 2.03 2.04 2.05 2.06 2.07 2.08 2.09 2.10 2.11 2.12 2.13 2.14 Ciccarelli, S; Stolfi, I; Caramia, G. Management strategies in the treatment of neonatal and pediatric gastroenteritis.. Infection and Drug Resistance. 29 October 2013, 6: 133–61. PMC 3815002. PMID 24194646. doi:10.2147/IDR.S12718. ^ Ferri's Clinical Advisor 2015: 5 Books in 1. Elsevier Health Sciences. 2014: 479. ISBN 9780323084307. （原始内容存档于2017-09-08）. ^ 4.0 4.1 4.2 A. Helms, Richard. Textbook of therapeutics : drug and disease management 8. Philadelphia, Pa. [u.a. ]: Lippincott Williams & Wilkins. 2006: 2003. ISBN 9780781757348. （原始内容存档于2017-09-08）. ^ Caterino, Jeffrey M.; Kahan, Scott. In a Page: Emergency medicine. Lippincott Williams & Wilkins. 2003: 293. ISBN 9781405103572 （英语）. ^ 6.0 6.1 GBD 2015 Disease and Injury Incidence and Prevalence, Collaborators. Global, regional, and national incidence, prevalence, and years lived with disability for 310 diseases and injuries, 1990-2015: a systematic analysis for the Global Burden of Disease Study 2015.. Lancet. 8 October 2016, 388 (10053): 1545–1602. PMID 27733282. ^ 7.0 7.1 GBD 2015 Mortality and Causes of Death, Collaborators. Global, regional, and national life expectancy, all-cause mortality, and cause-specific mortality for 249 causes of death, 1980-2015: a systematic analysis for the Global Burden of Disease Study 2015.. Lancet. 8 October 2016, 388 (10053): 1459–1544. PMID 27733281. ^ 8.0 8.1 Tate JE, Burton AH, Boschi-Pinto C, Steele AD, Duque J, Parashar UD. 2008 estimate of worldwide rotavirus-associated mortality in children younger than 5 years before the introduction of universal rotavirus vaccination programmes: a systematic review and meta-analysis. The Lancet Infectious Diseases. February 2012, 12 (2): 136–41. PMID 22030330. doi:10.1016/S1473-3099(11)70253-5. ^ Marshall JA, Bruggink LD. The dynamics of norovirus outbreak epidemics: recent insights. International Journal of Environmental Research and Public Health. April 2011, 8 (4): 1141–9. PMC 3118882. PMID 21695033. doi:10.3390/ijerph8041141. ^ Man SM. The clinical importance of emerging Campylobacter species. Nature Reviews Gastroenterology & Hepatology. December 2011, 8 (12): 669–85. PMID 22025030. doi:10.1038/nrgastro.2011.191. ^ Zollner-Schwetz, I; Krause, R. Therapy of acute gastroenteritis: role of antibiotics.. Clinical Microbiology and Infection. August 2015, 21 (8): 744–9. PMID 25769427. doi:10.1016/j.cmi.2015.03.002. ^ 13.0 13.1 13.2 13.3 13.4 13.5 13.6 13.7 13.8 13.9 Webber, Roger. Communicable disease epidemiology and control : a global perspective 3rd. Wallingford, Oxfordshire: Cabi. 2009: 79. ISBN 978-1-84593-504-7. ^ Walker, CL; Rudan, I; Liu, L; Nair, H; Theodoratou, E; Bhutta, ZA; O'Brien, KL; Campbell, H; Black, RE. Global burden of childhood pneumonia and diarrhoea.. Lancet. Apr 20, 2013, 381 (9875): 1405–16. PMID 23582727. doi:10.1016/S0140-6736(13)60222-6. ^ 16.00 16.01 16.02 16.03 16.04 16.05 16.06 16.07 16.08 16.09 16.10 16.11 16.12 16.13 Eckardt AJ, Baumgart DC. Viral gastroenteritis in adults. Recent Patents on Anti-infective Drug Discovery. January 2011, 6 (1): 54–63. PMID 21210762. ^ Toolkit. DefeatDD. [3 May 2012]. （原始内容存档于2012年4月27日）. ^ 20.0 20.1 20.2 20.3 Management of acute diarrhoea and vomiting due to gastoenteritis in children under 5. National Institute of Clinical Excellence. April 2009. ^ 21.0 21.1 21.2 21.3 21.4 21.5 Tintinalli, Judith E. Emergency Medicine: A Comprehensive Study Guide (Emergency Medicine (Tintinalli)). New York: McGraw-Hill Companies. 2010: 830–839. ISBN 0-07-148480-9. ^ Dennehy PH. Viral gastroenteritis in children. The Pediatric Infectious Disease Journal. January 2011, 30 (1): 63–4. PMID 21173676. doi:10.1097/INF.0b013e3182059102. ^ Desselberger U, Huppertz HI. Immune responses to rotavirus infection and vaccination and associated correlates of protection. The Journal of Infectious Diseases. January 2011, 203 (2): 188–95. PMC 3071058. PMID 21288818. doi:10.1093/infdis/jiq031. ^ 35.0 35.1 35.2 Warrell D.A., Cox T.M., Firth J.D., Benz E.J. (编). The Oxford Textbook of Medicine 4th. Oxford University Press. 2003. ISBN 0-19-262922-0. （原始内容存档于2012-03-21）. ^ Viral Gastroenteritis. Center for Disease Control and Prevention. February 2011 [16 April 2012]. （原始内容存档于2012年4月24日）. ^ 37.0 37.1 37.2 World Health Organization. Rotavirus vaccines: an update (PDF). Weekly epidemiological record. December 2009, 51–52 (84): 533–540 [10 May 2012]. ^ US Center for Disease Control and Prevention. Delayed onset and diminished magnitude of rotavirus activity—United States, November 2007 – May 2008. Morbidity and Mortality Weekly Report. 2008, 57 (25): 697–700 [3 May 2012]. 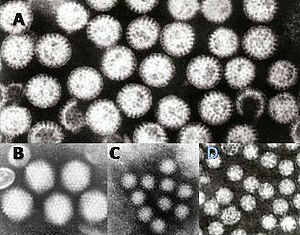 ^ Reduction in rotavirus after vaccine introduction—United States, 2000–2009. MMWR Morb.Mortal.Wkly.Rep. October 2009, 58 (41): 1146–9. PMID 19847149. ^ Alhashimi D, Al-Hashimi H, Fedorowicz Z. Alhashimi, Dunia, 编. Antiemetics for reducing vomiting related to acute gastroenteritis in children and adolescents. Cochrane Database Syst Rev. 2009, (2): CD005506. PMID 19370620. doi:10.1002/14651858.CD005506.pub4. ^ Tytgat GN. Hyoscine butylbromide: a review of its use in the treatment of abdominal cramping and pain. Drugs. 2007, 67 (9): 1343–57. PMID 17547475. ^ BestBets:Fluid Treatment of Gastroenteritis in Adults. ^ Canavan A, Arant BS. Diagnosis and management of dehydration in children. Am Fam Physician. October 2009, 80 (7): 692–6. PMID 19817339. ^ Gregorio GV, Gonzales ML, Dans LF, Martinez EG. Gregorio, Germana V, 编. Polymer-based oral rehydration solution for treating acute watery diarrhoea. Cochrane Database Syst Rev. 2009, (2): CD006519. PMID 19370638. doi:10.1002/14651858.CD006519.pub2. ^ 50.0 50.1 50.2 50.3 King CK, Glass R, Bresee JS, Duggan C. Managing acute gastroenteritis among children: oral rehydration, maintenance, and nutritional therapy. MMWR Recomm Rep. November 2003, 52 (RR-16): 1–16. PMID 14627948. ^ Allen SJ, Martinez EG, Gregorio GV, Dans LF. Allen, Stephen J, 编. Probiotics for treating acute infectious diarrhoea. Cochrane Database Syst Rev. 2010, 11 (11): CD003048. PMID 21069673. doi:10.1002/14651858.CD003048.pub3. ^ Mackway-Jones, Kevin. Does yogurt decrease acute diarrhoeal symptoms in children with acute gastroenteritis?. BestBets. June 2007. ^ DeCamp LR, Byerley JS, Doshi N, Steiner MJ. Use of antiemetic agents in acute gastroenteritis: a systematic review and meta-analysis. Arch Pediatr Adolesc Med. September 2008, 162 (9): 858–65. PMID 18762604. doi:10.1001/archpedi.162.9.858. ^ Mehta S, Goldman RD. Ondansetron for acute gastroenteritis in children. Can Fam Physician. 2006, 52 (11): 1397–8. PMC 1783696. PMID 17279195. ^ Sturm JJ, Hirsh DA, Schweickert A, Massey R, Simon HK. Ondansetron use in the pediatric emergency department and effects on hospitalization and return rates: are we masking alternative diagnoses?. Ann Emerg Med. May 2010, 55 (5): 415–22. PMID 20031265. doi:10.1016/j.annemergmed.2009.11.011. ^ Ondansetron. Lexi-Comp. May 2011. ^ Traa BS, Walker CL, Munos M, Black RE. Antibiotics for the treatment of dysentery in children. Int J Epidemiol. April 2010, 39 (Suppl 1): i70–4. PMC 2845863. PMID 20348130. doi:10.1093/ije/dyq024. ^ Grimwood K, Forbes DA. Acute and persistent diarrhea. Pediatr. Clin. North Am. December 2009, 56 (6): 1343–61. PMID 19962025. doi:10.1016/j.pcl.2009.09.004. ^ 62.0 62.1 Mandell, Gerald L.; Bennett, John E.; Dolin, Raphael. Mandell's Principles and Practices of Infection Diseases 6th. Churchill Livingstone. 2004. ISBN 0-443-06643-4. ^ Harrison's Principles of Internal Medicine 16th. McGraw-Hill. ISBN 0-07-140235-7. （原始内容存档于2012-08-04）. ^ Feldman, Mark; Friedman, Lawrence S.; Sleisenger, Marvin H. Sleisenger & Fordtran's Gastrointestinal and Liver Disease 7th. Saunders. 2002. ISBN 0-7216-8973-6. ^ World Health Organization. Global networks for surveillance of rotavirus gastroenteritis, 2001–2008 (PDF). Weekly Epidemiological Record. November 2008, 47 (83): 421–428 [10 May 2012]. ^ Victora CG, Bryce J, Fontaine O, Monasch R. Reducing deaths from diarrhoea through oral rehydration therapy. Bull. World Health Organ. 2000, 78 (10): 1246–55. PMC 2560623. PMID 11100619. ^ Gastroenteritis. Oxford English Dictionary 2011. [January 15, 2012]. ^ Albert, edited by Neil S. Skolnik ; associate editor, Ross H. Essential infectious disease topics for primary care. Totowa, NJ: Humana Press. 2008: 66. ISBN 978-1-58829-520-0. ^ World Health Organization. 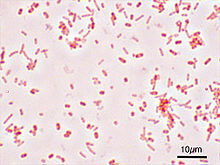 Enterotoxigenic Escherichia coli (ETEC). Diarrhoeal Diseases. [3 May 2012]. ^ World Health Organization. Shigellosis. Diarrhoeal Diseases. [3 May 2012].